New research published in the journal Nature suggests that adding the hormone progesterone to breast cancer treatment could slow cancer cell growth in half of breast cancer patients. Study researchers made this discovery after examining breast cancer cells that were salvaged for research purposes. The team discovered that progesterone slows down the cancer cell growth by quickly changing the estrogen receptor that interacts with DNA. In the study, researchers used advanced DNA-reading technology to determine where the estrogen receptor attaches to the DNA to signal genes and begin cancer cell growth. The team broke the study into two phases: the first part of the study consisted of breast cancer cells with progesterone, and the second study without progesterone. Researchers discovered that when the progesterone receptor was activated, it directed the estrogen receptor to different DNA regions. When that occurred, it switched on a different set of genes that slowed down the cancer cell growth. 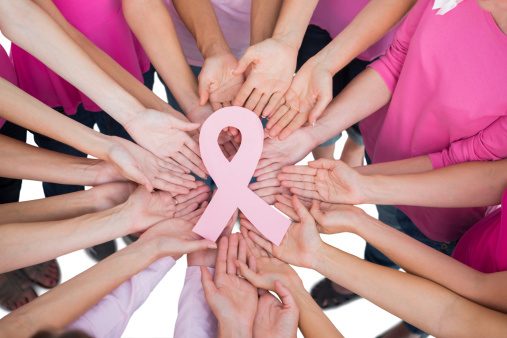 Approximately 75% of all breast cancer patients are positive for estrogen receptors, while about 75% are positive for progesterone receptors—which is why researchers believe their research can benefit about half of all breast cancer patients. The team concluded that although research is still in its early stages, their findings are strong enough to think about testing on humans. Paddock, C. “Adding common hormone to treatment could slow half of breast cancers,” Medical News Today web site, July 9, 2015; http://www.medicalnewstoday.com/articles/296525.php.